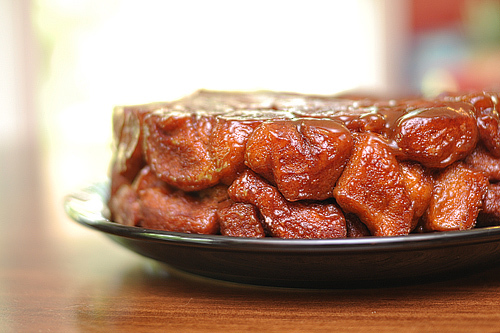 Contrary to popular belief, monkey bread is not made from monkeys, taste like monkeys, or affiliated with them in any kind. No, seriously. 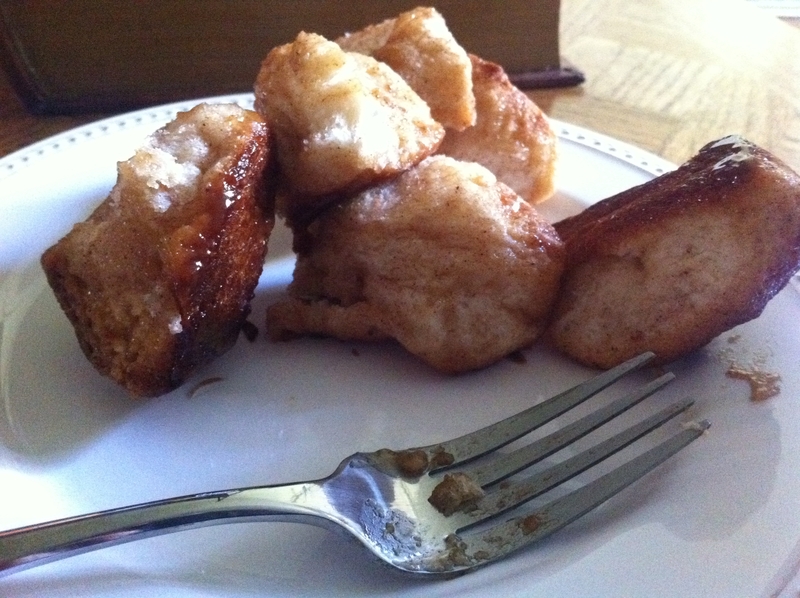 No monkeys were harmed in the baking of this delicious, gooey pastry. My love for The Pioneer Woman became even greater when I happened upon her variation of the cinnamony, pull apart bread. It just looked like heaven on a plate. It looks easy, right? Go ahead, nod your head yes. This was such a fun, and easy recipe. It even has some great opportunities to have little ones help out. bundt cake pan — go ahead and use any sort of shape you want, the cooler the better! Stop right there! Don’t forget to pre-heat your oven to 350 degrees. Go on, get it out of the way. I don’t know about you, but opening those biscuit cans makes me jump EVERY TIME. Open all three packages and cut each biscuit into quarters. 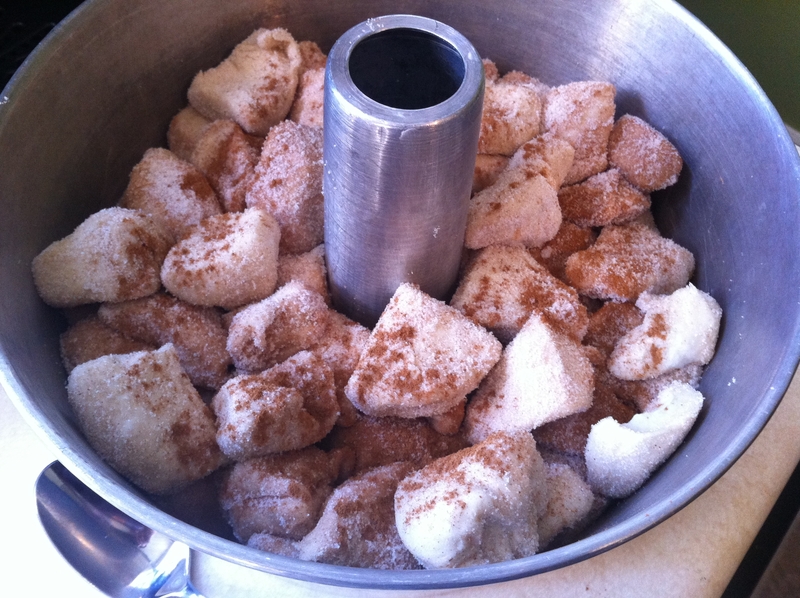 Next, combine 1 cup sugar and 2-3 tablespoons of cinnamon into a 1 gallon zip bag. (I opted for more cinnamon because I like the taste. ) Shake ingredients together to mix evenly. 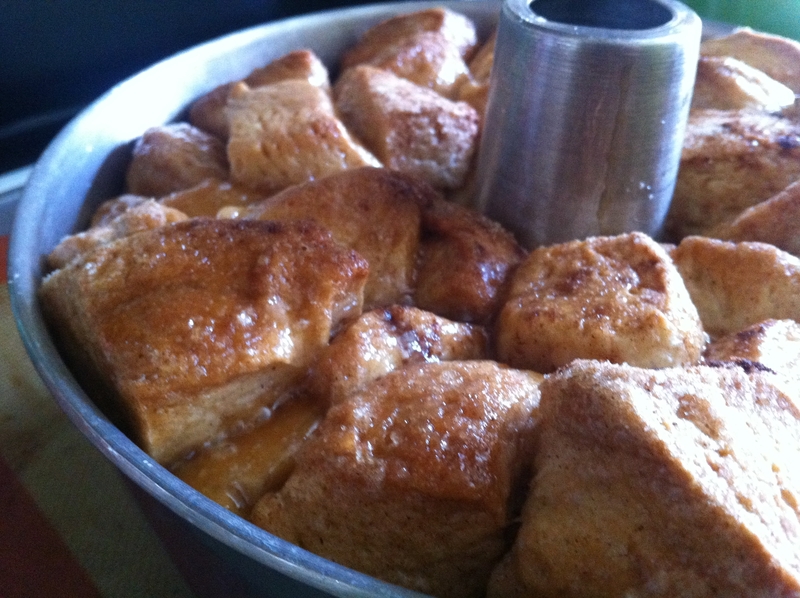 Drop the biscuit quarters into the cinnamon sugar mixture. Seal and give it a shake! You might need to do this in two batches, I did. Once coated, spread the quarters evenly in your bundt pan. No greasing the pan necessary. 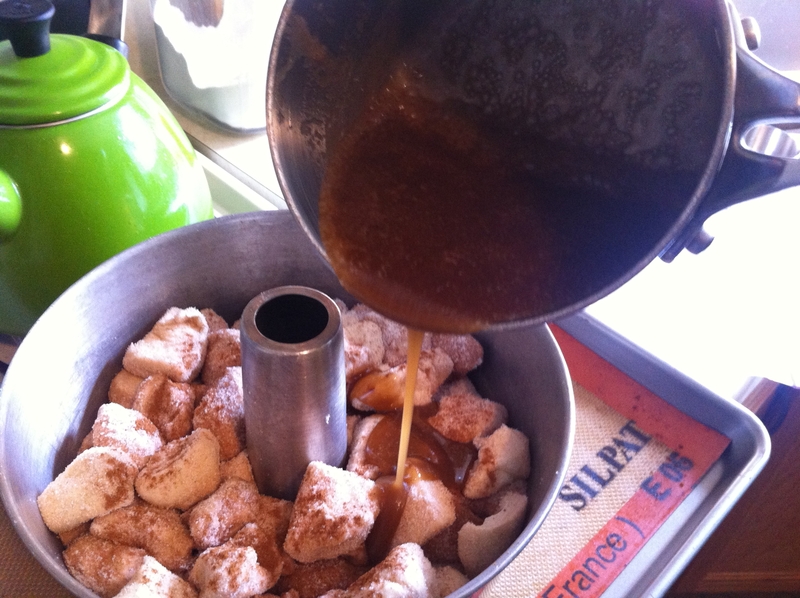 Melt two sticks of butter with 1/2 cup of brown sugar. Stir together over medium heat until mixed. 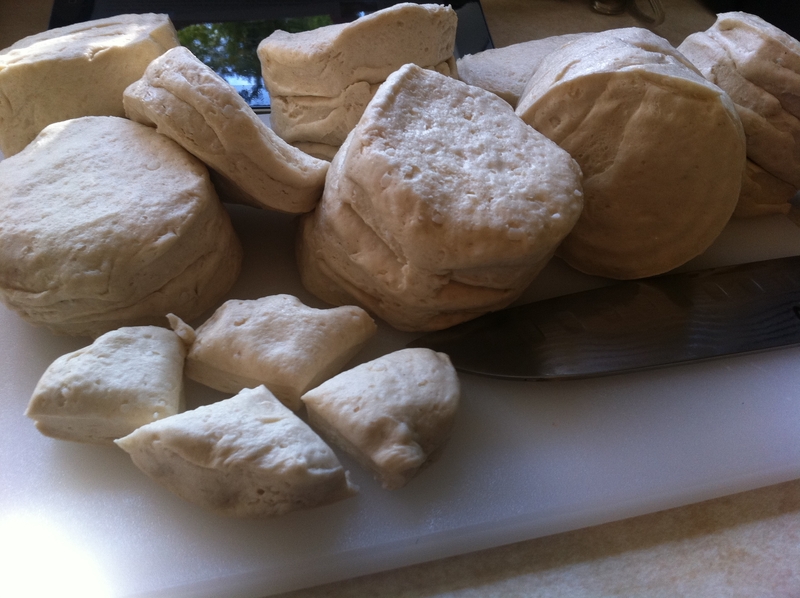 Pour over biscuts. Let cool for 15-30 minutes before flipping it over onto a plate. Pull apart and enjoy! This is one recipe you’ll be sure to go bananas for! Wink.